I would like to invite you to come to this special afternoon concert to participate in the 2011 fundraising campaign for the Alzheimer Society des Maskoutains – Vallée des Patriotes. 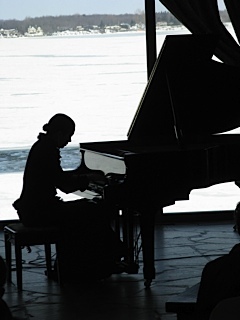 For this special occasion, I have prepared a program that includes a selection of some of my compositions from my albums Tandem et Rêverie, along with some of my favorite works by Frédéric Chopin and Franz Liszt, famous composers from the romantic era. 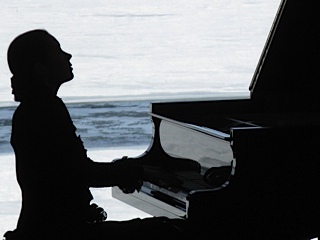 I will have the privilege to play on a wonderful Yamaha CFIII grand piano, sponsored by Piano Héritage from Laval. 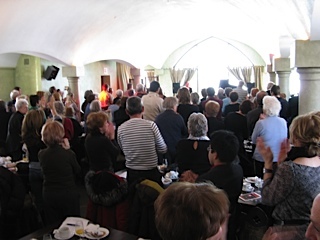 Date : Sunday, March 13, 2011 at 2 p.m.
Sunday, February 20th, 2011 at 11 a.m., in the Caffè Musica series sponsored by the City of Chambly, I had the pleasure to present my «Chopin Celebration 1810» recital to a sold-out audience at the Fourquet Fourchette restaurant. Thank you to all for your warm presence in this magnificent hall !